A rising young attorney successfully defends a man accused of murder, only to have the same type of murder then happen again. Right away the previously defended man hires the attorney again, and although the attorney is quite certain that he is the killer, he agrees to again defend him… much to the consternation of his friends. 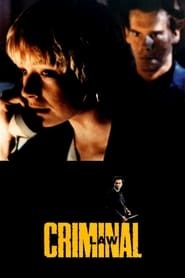 However, he explains that by being his attorney he will be better able to catch the man in a mistake… and on this the rest of the film develops, with the killer playing a cat and mouse game with the attorney until, at last, they both must recognize that they are not all that different.